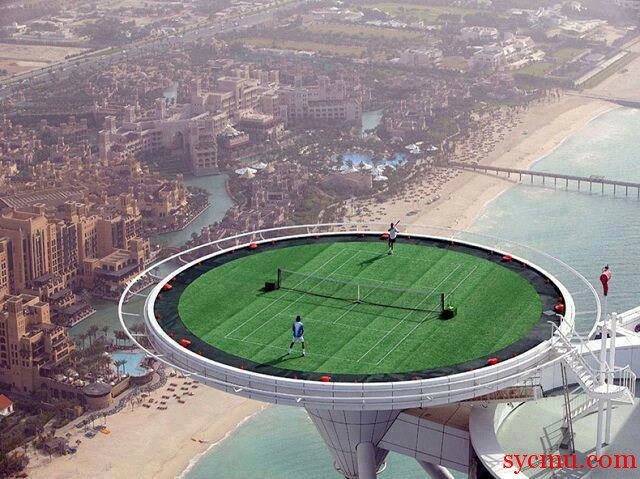 See the world’s highest tennis court. Only in Dubai can you expect to see something like this. 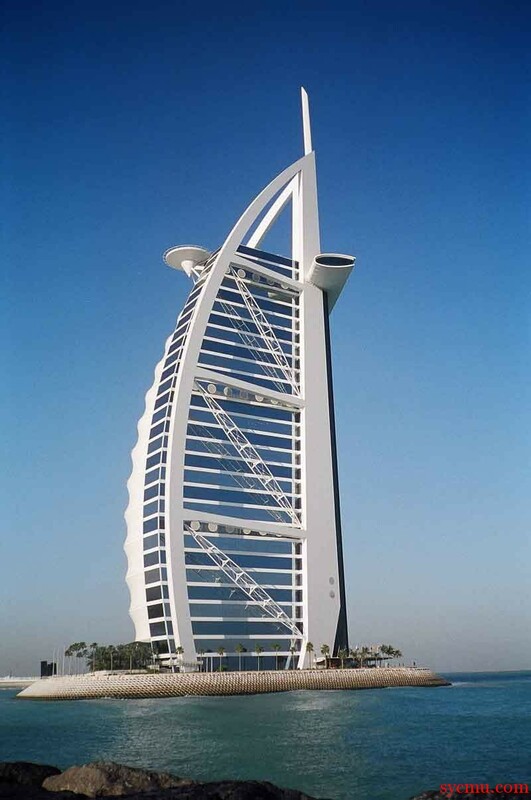 This is situated at the top of Burj al-Arab Hotel in Dubai, United Arab Emirates. This magnificent tennis court is used by numerous professionals, and by celebrities who visit this amazing hotel for vacation.